ScholarShop and LionHeart In The Community (LITC) partnered in December 2015 as part of a shared effort to provide more opportunities for young people in Cameroon. LITC is incorporating a Sports training program based on Tackle Africa’s curriculum that incorporates life skills, citizenship skills, volunteering, respect Sessions, STI/HIV Awareness, Conflict Resolution and Anger Management. In addition to this LITC is incorporating an Information Technology - coding program for girls, to teach young girls to learn how to code. LITC has worked with young people internationally since 2009 on a variety of programs. Lionheart in the Community (LITC) is one of UK’s leading innovative social enterprises. Providing Youth citizenship, Volunteering, International exchange programmes, Family and Community engagement projects, Sport and Development programmes, International Development programmes (Europe and the Global South) and Apprenticeships for young people in a range of dynamic training qualifications. LITC supports Young People throughout the UK, Europe and the Global South by empowering them to achieve their goals, be aspirational, participate in a variety of self-development opportunities, develop skills, experience and build strong foundations for their future careers. LITC provides opportunities not just to develop new skills, but to acquire essential life experiences and attributes. Also, by offering a bridge to communities, to re-engage and provide on-going support towards independence, employment and personal development. Our overriding goal is to create a generation of young visionaries that are autonomous, achieve personal and professional change; impact the future on a Local, National and International Level. With a wealth of experience and expertise across a broad spectrum of services backed by a robust team of highly qualified professionals, we assure integrity, provide the best support and consistently design and deliver to high standards. LITC is offering a variety of programs to engage the youth and the local community to actively cooperate, battle unemployment, substance abuse, encourage social inclusion, open discussion, crime prevention, Global Warming and create a platform for Marketing, Employability and Entrepreneurship sessions for young people. Using a variety of mediums; Sports, Arts, Culture, Music and workshops in Lambeth. LITC already has the interest and cooperation from of the police force in Brixton. As a cause of the unrest in Cameroon our partnership with LITC has currently been put on hold. Bill Cook, of the Bill Cook foundation standing with ScholarShop’s program manager (Back Row) and other community members of Upkwa. 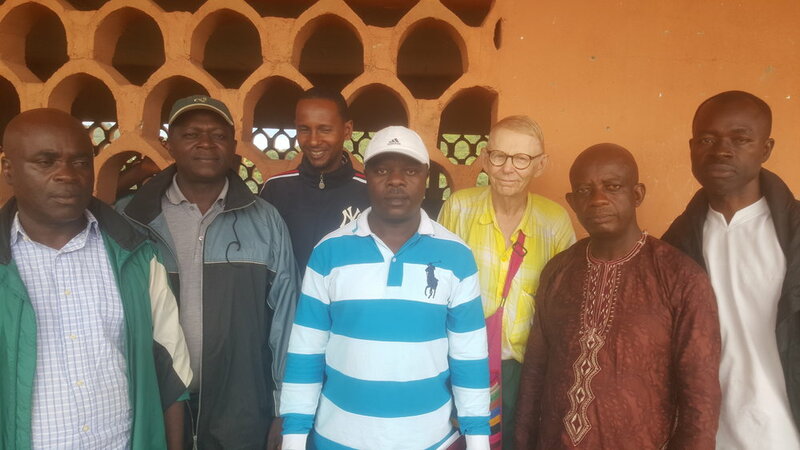 The Bill Cook Foundation donated to provide a solar panel and electricity for the Health Center in charge of Upkwa and its 4 surrounding villages.